Napoli dropped more points after they were held by Fiorentina in Florence. Napoli could finish the weekend trailing Serie A leaders Juventus by 11 points after Carlo Ancelotti's wasteful side stuttered to a 0-0 draw at Fiorentina on Saturday. 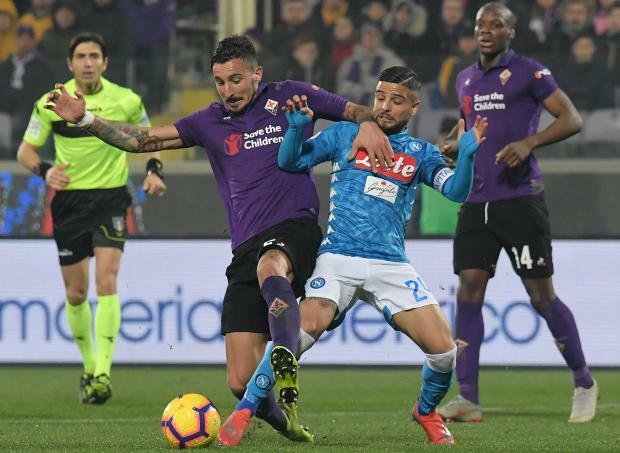 Fiorentina goalkeeper Alban Lafont produced a string of saves to deny Piotr Zielinski and Dries Mertens as Napoli failed to score away from home for the third game running. "We dropped two points that we would’ve deserved for attacking from start to finish," Ancelotti told Sky Sport Italia. "In some ways, it was an impeccable performance, but we weren’t clinical enough in front of goal and were forced to make do with a point." Hosts Fiorentina drew for the 11th time in 23 matches this season. Their best chance came just after half-time when French midfielder Jordan Veretout was denied by an excellent stop from Alex Meret. Unbeaten Juventus could stretch their advantage to double digits on Sunday when they travel to mid-table Sassuolo.